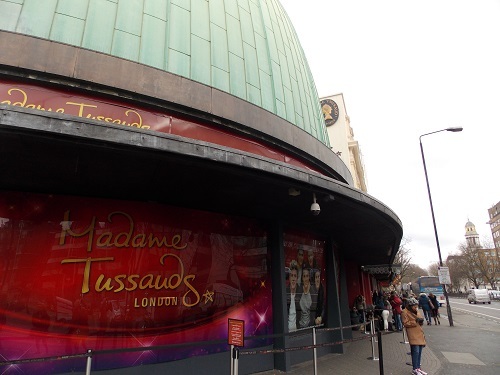 It might be a surprise to many people that Madame Tussauds has a long history in London, although the attractions origins were in France it has entertained people in London for over 200 years. Madame Tussauds was founded by wax sculptor Marie Tussaud who was taught in the 1770s the art of wax modelling by Dr Philippe Curtius in Switzerland. Tussaud created her first wax sculpture, of Voltaire, in 1777. During the French Revolution she modelled many of the victims, alledgedly searching for severed heads to make death masks. In 1802 she came to London and then traveled throughout Great Britain and Ireland exhibiting her collection. From 1831 she leased a part of a building in Baker Street which became Tussaud’s first permanent home in 1836. 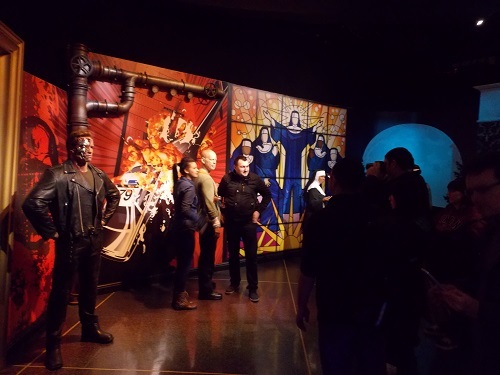 Although there were a number of famous people in the exhibition, the most popular attraction was the Chamber of Horrors which included figures of victims of the French Revolution, murderers and other famous criminals. The success of the attraction led to a move to the present larger premises in 1884, in the 20th century Madame Tussauds survived a major fire in 1925 and bomb damage in 1940. If the main attraction for a long part of Madame Tussauds history was the Chamber of Horrors, in more recent times it has concentrated more on celebrities. 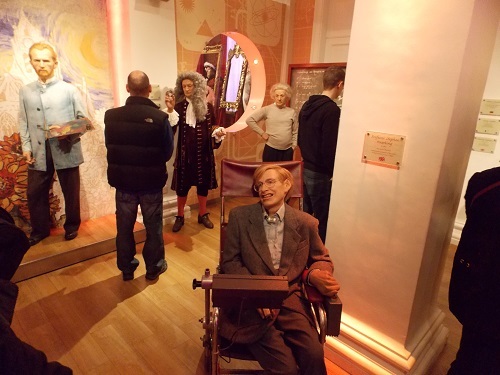 It is often a measure of your popularity as a celebrity if you have a figure in Madame Tussauds as the attraction continually add figures that reflect contemporary public opinion. 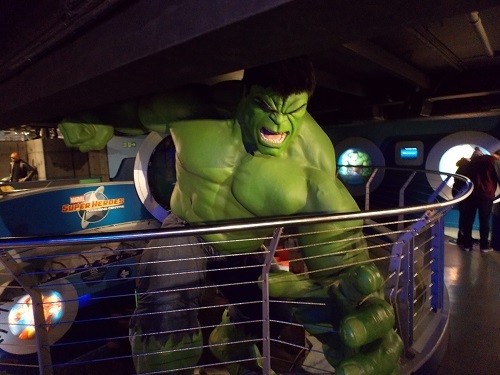 However the attraction has made significant recent changes by getting rid of the roped off areas and letting visitors get close to the models for photographs, there is an updated Horror section, a London ride and Marvel Super Heroes 4D movie experience! The Attraction begins with a large number of familiar faces including Brad Pitt, Angelia Jolie, Patrick Stewart, Nicole Kidman and many others on the red carpet and some of the well known names in Indian cinema. The movie section includes icons such as Marilyn Monroe, John Wayne, Audrey Hepburn and Arnold ‘Terminator’ Schwarzenegger. Usain Bolt, Jessica Ennis, Tiger Woods, Tom Daley and Lewis Hamilton are just some of sports stars and there is a special section paying homage to Bobby Moore and the England 1966 World Cup win . You can have a slightly surreal audience with The Queen with the rest of the Royal Family. The cultural icons is a diverse selection that includes Einstein, Van Gogh and Stephen Hawking. You can see Boris Johnson and David Cameron outside Downing Street and Barack Obama in his White House Office. Other leaders include Churchill, Nelson Mandela and rather strangely Adolf Hitler. The Chamber of Horrors entitled Scream offers scary models and live actors, The premise is a maximum security prison has been taken over by its inmates. 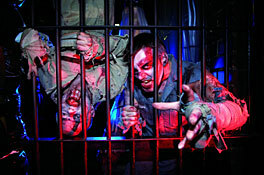 It is considered so scary it is only suitable persons of 12 years and older, its not considered suitable for pregnant women or visitors with heart conditions or high blood pressures. To calm down there is then a short ride in a small black cab through a variety of scenes that illustrate London’s history. The final section is populated with Marvel Super Heroes including a huge Incredible Hulk, you then enter the small cinema to experience a 10 minute 4D Marvel Super Heroes movie experience that provides a few thrills and spills that offers a few surprises for the audience. 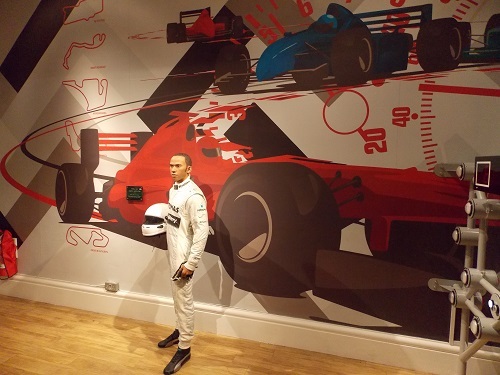 It may seem strange that in a time of computer graphic animation that an attraction of waxwork figures would still be popular, but over the last 200 years Madame Tussauds have had their finger on the pulse of what’s popular and provide entertainment based on that, for example in May 2015 there will be a new feature that includes Star Wars scenes. Star Wars at Madame Tussauds will be featuring 16 of the most famous heroes and villains in scenes from some of the most iconic moments featured in Star Wars Episodes. The nature of the entertainment means it is especially popular amongst young people, however it is not really aimed at very young children. It is essentially an attraction that provides a series of mini attractions and concentrates on providing fun and enjoyment without taking itself too seriously. If anything the age of the ‘selfie’ has added to its attraction where you can now get close to the models. 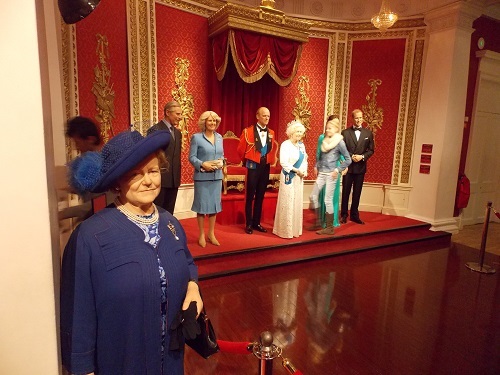 Madame Tussauds is not only popular in London, there are branches all over the world with new ones due to be opened in Beijing, Prague, Singapore, Orlando and San Francisco. 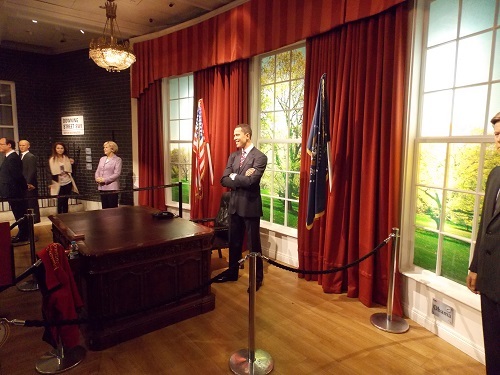 VLG Tips – Madame Tussauds is part of the Merlin Entertainment group which also owns the London Eye, London Dungeon and Sea Life Aquarium. If you intend to visit more than one of their attractions buying a combination ticket can offer large discounts. 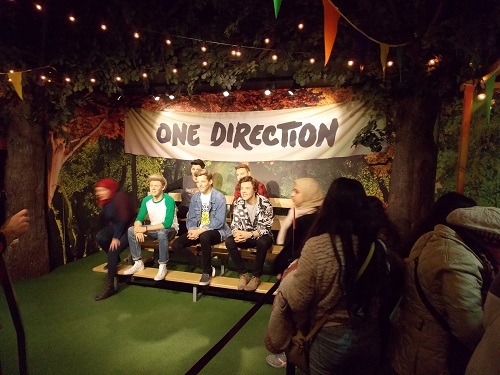 If you would like further information or to buy tickets, visit the Madame Tussauds website here. By londonvisitors2014 in London Attractions on February 9, 2015 .